The cost of divorce are not only financial they also extend to emotional and psychological costs. Often people believe they need to get a solicitor to help them get what they need out of their separation and any financial resolution arising out of a prospective divorce. The cost of getting divorced need not run into thousands of pounds each. If you are both able to consider one another’s needs and trying to keep the focus on reaching a fair settlement of your finances, one that ensures you each have of the resources, wherever possible, to meet your needs and that of any children. 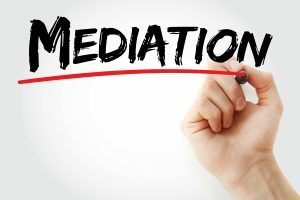 Mediation is a much less expensive option than Solicitors and making an application to court. Where a case has to go to Court, costs can quickly rise to many thousands of pounds – and will take much longer to settle. This is each of you.